Ingo Wolfgang Sarlet e Jayme Weingartner Neto. Resumo: O texto investiga em que medida o princípio da dignidade da pessoa humana, na base da Súmula Vinculante nº 11 do Supremo Tribunal Federal, implica determinada orientação jurisprudencial quanto às consequências da falta de fundamentação no uso de algemas. Ao distinguir três principais hipóteses fáticas, postula-se solução diferenciada que, no caso das audiências de instrução de processos que não da competência do Tribunal do Júri, significa nulidade a ser arguida pela defesa e com indicação de prejuízo, pena de preclusão. Palavras-chave: Dignidade da pessoa humana; algemas; súmula vinculante; Supremo Tribunal Federal. 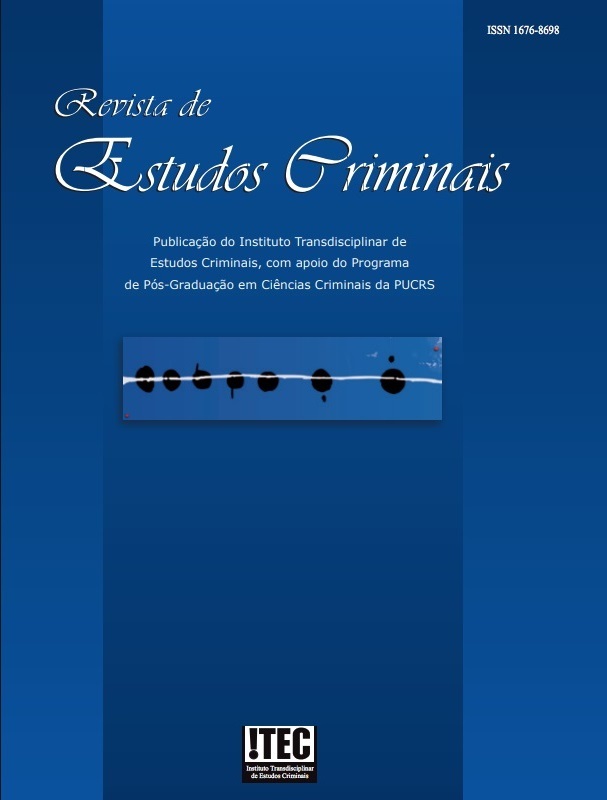 Abstract: This paper investigates to what extend the principle of the dignity of the human person, on the basis of the Binding Opinion n. 11 from the Brazilian Federal Supreme Court, implies certain jurisprudence concerning the consequences of the justification of the usage of handcuffs. While making a difference between three major factual alternatives, the claim is to apply a different solution which, in the case of hearings related to law procedures not submitted to the jurisdiction of the Jury, consists in nullity that needs to be argued by the defendant indicating concrete harm. Keywords: Dignity of the human person; handcuffs; binding opinion; Brazilian Federal Supreme Court.